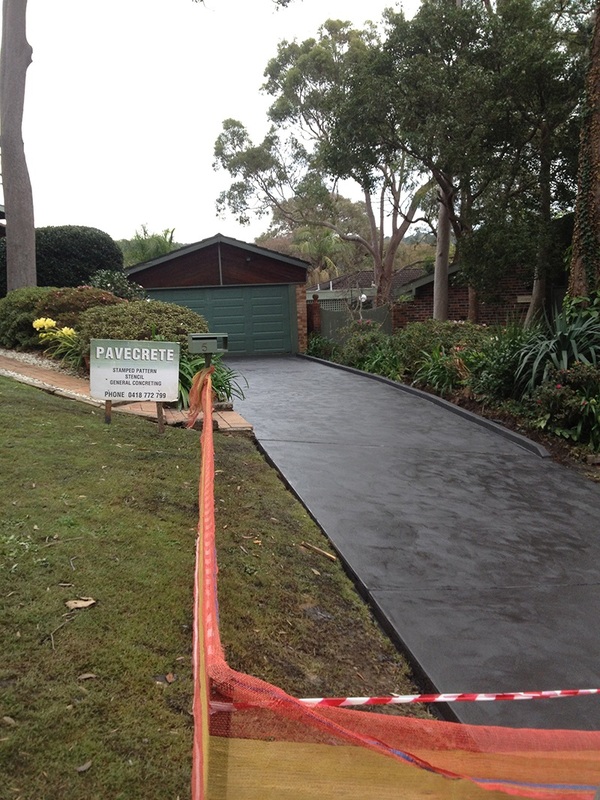 Pavecrete offers concreting solutions to outdoors areas such as driveways, paths, patios, slabs for houses, garages and parking bays, suspended slabs, retaining walls, tennis courts, car parks, council crossovers, lay backs and more. 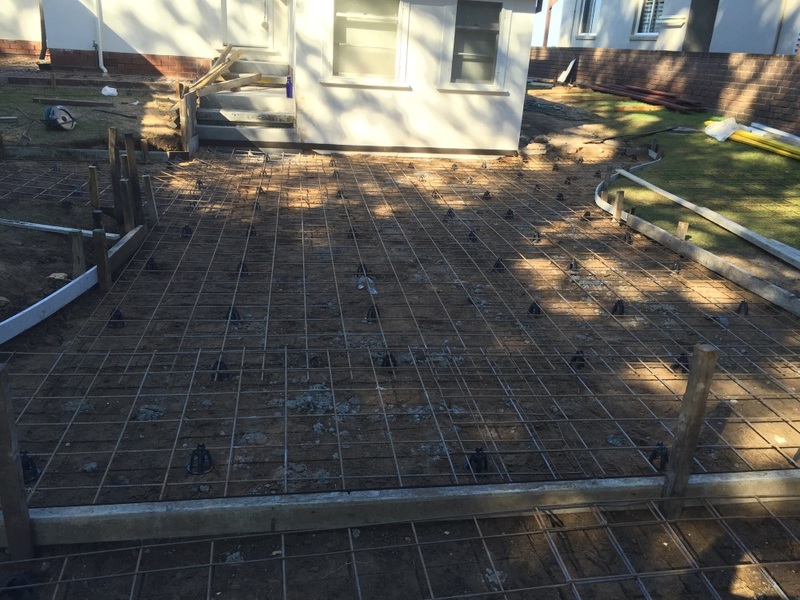 Our processes include excavation, reinforcement, concreting, resurfacing, stamped and stencil concreting and resealing. We also have various colours and finishes. Click on the buttons below for more info on each service. 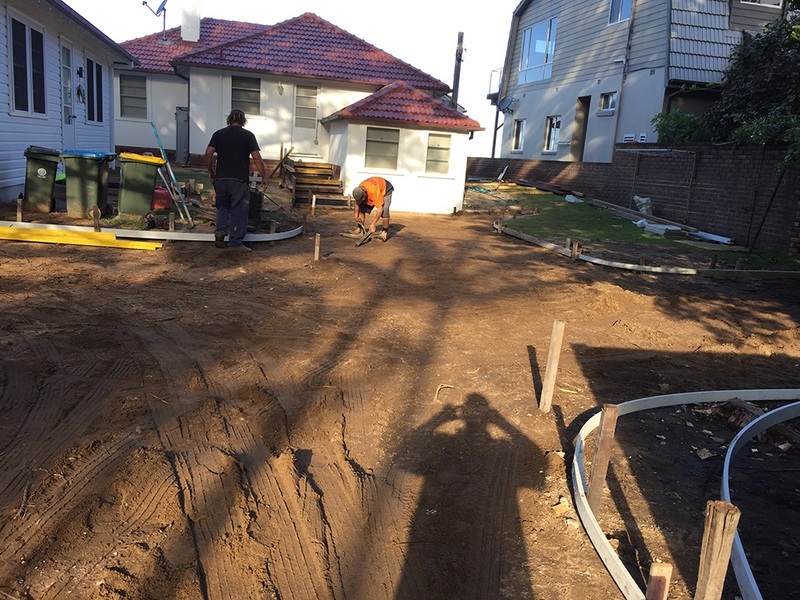 Removal of existing driveway or areas to be rectified. 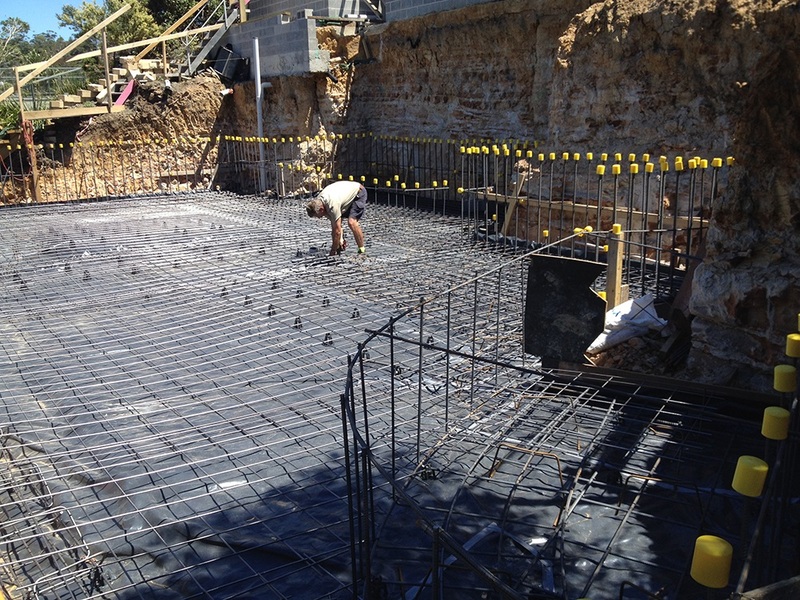 Preparation for area to be concreted. 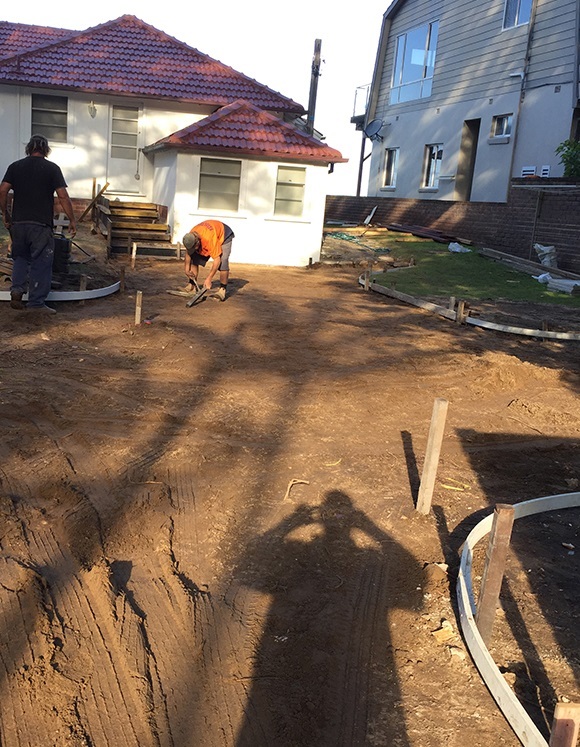 Laying concrete for outdoor areas such as Driveways, Paths, Exposed aggregate, Council Crossovers and lay backs. 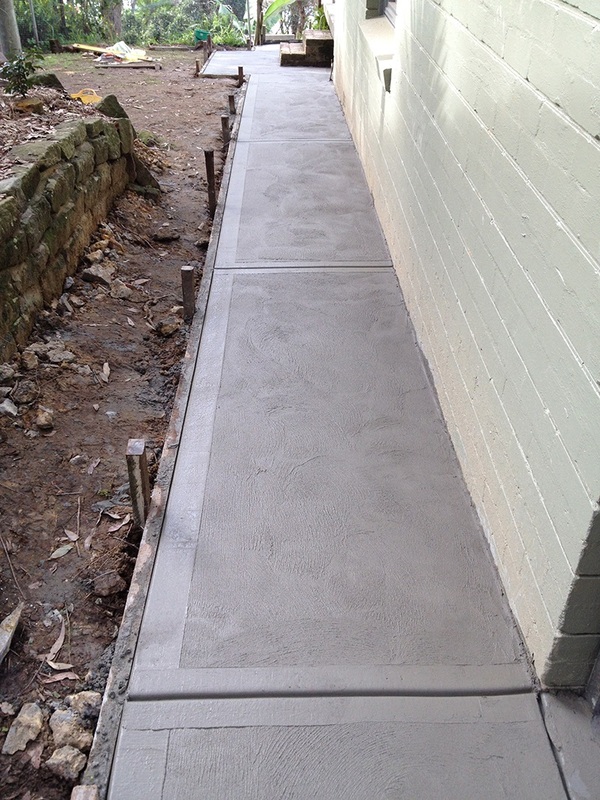 Finish: Broom or Coving Trowel. 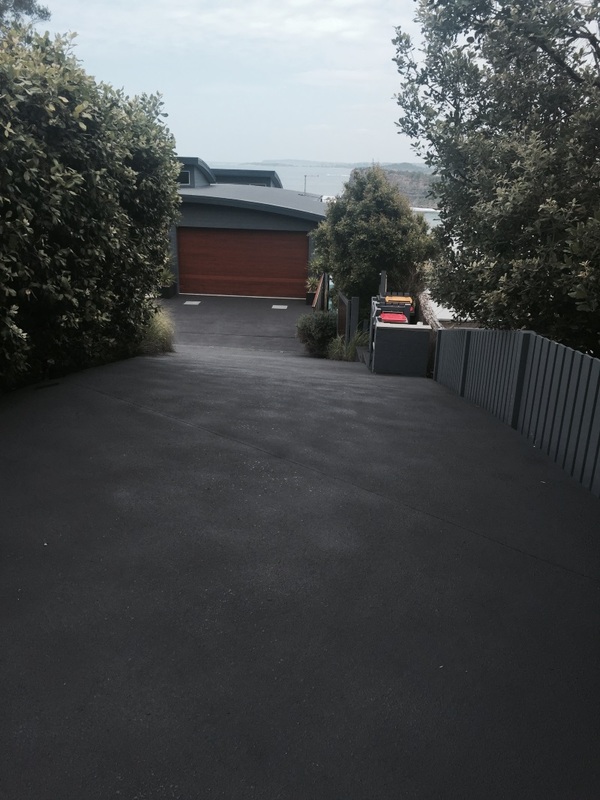 Re-colour existing concrete surfaces to give a new look and feel to tired concrete. 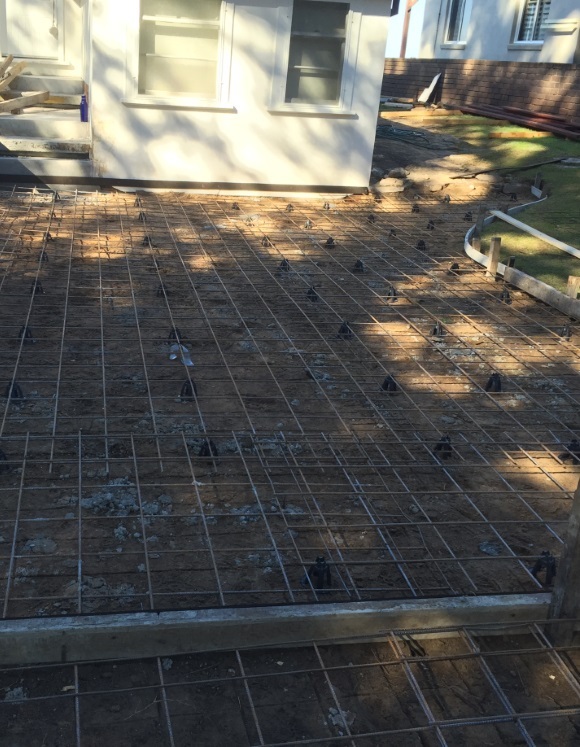 This technique usually involves spraying two layers of concrete on top of existing concrete. 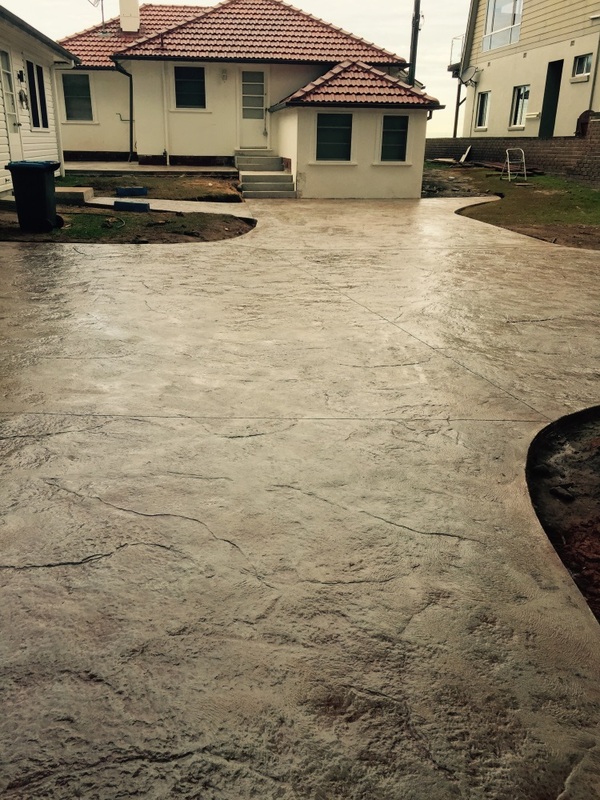 Stamped and stencil concrete can have a stone, brick or tile effect appearance. Ask us for pattern display. 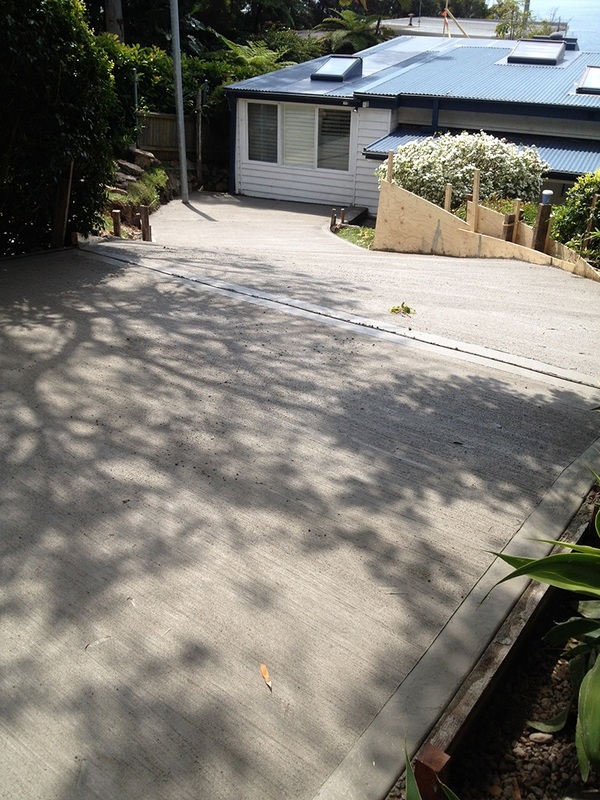 Concrete Resealing involves applying a protection coat to preserve the colour of your existing outdoor concrete surface. 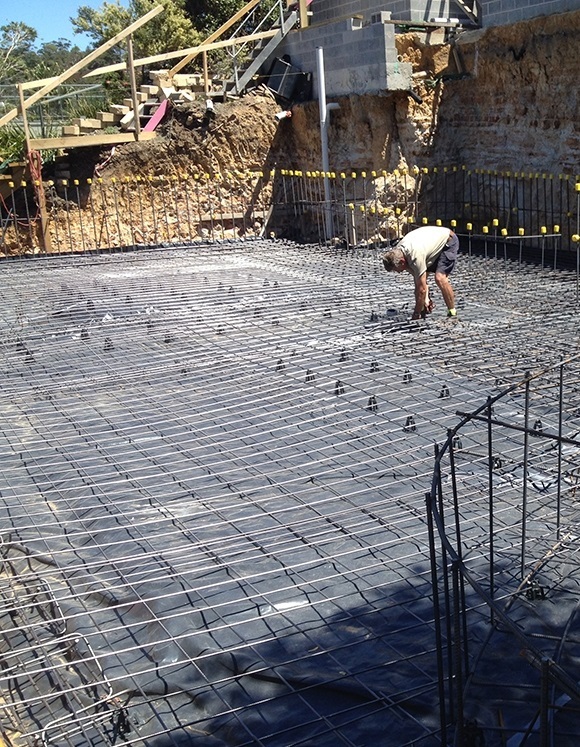 It is usually needed every 3-5 years to protect the colour from fading due to weather and traffic wear.